I have recently been exploring the issues surrounding retail health with Year 7, and how local shops and High Streets can fight back against the online retailers and other shopping malls. Regular readers will (perhaps) remember previous posts on the Mary Portas review, and other local initiatives, including money given to Rotherham Town Centre to attract shoppers away from the bright lights of Meadowhall. I've mentioned a number of other current retail stories as well in recent blog posts. This Guardian article by John Harris is very useful. It explores the way that Doncaster has tried to leverage its particular benefits to those who shop in person on its streets. Doncaster is a town I know very well, having visited many times over the last 50 odd years, with family, passing through, visiting friends who lived there when I was a student and beyond. 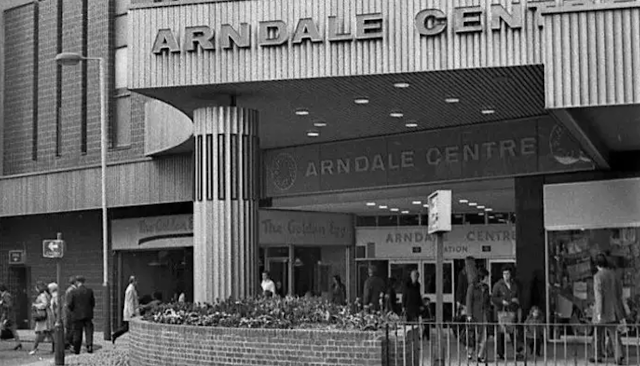 There have been many changes to the town centre over the years since I used to go to an excellent record shop in the Arndale Centre. By the way, if you are visiting Doncaster by train, I recommended visiting Platform 3b, where there is a lovely little pub which serves ales with railway related names. The Chancellor is apparently set to announce some business rates relief in tomorrow's budget.